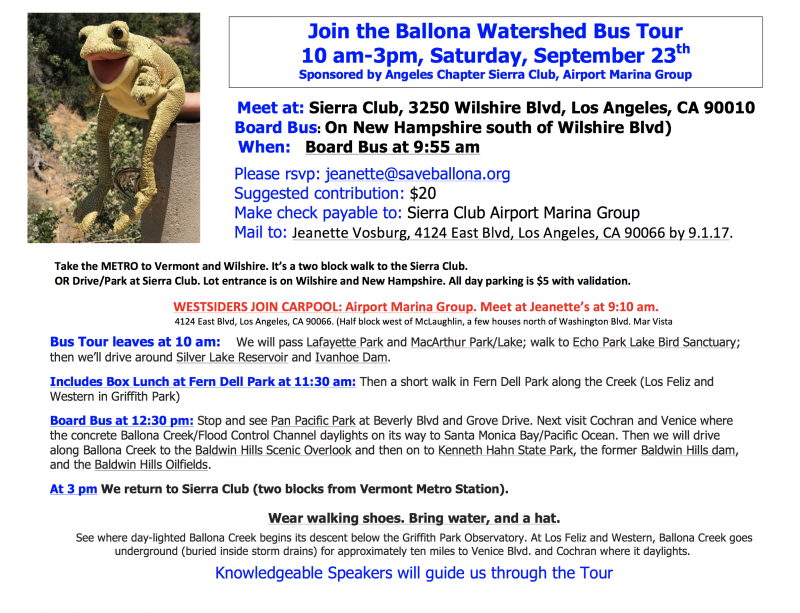 Join Sierra Club Angeles Chapter on APRIL 16, 2016 FROM NOON TO 3 PM FOR A TOUR OF THE VOSBURG'S WLA YARD at 4124 East Blvd, Los Angeles, CA 90066. DIRECTIONS. East Blvd runs parallel to Barrington Ave/ McLaughlin and between Washington Blvd and Washington Place. CREATE A PARK & HABITAT AREA - Parcel 44 Admiralty Way. OPPOSE Over-Development. This area should be reserved for public recreational facilities, not commercial development. 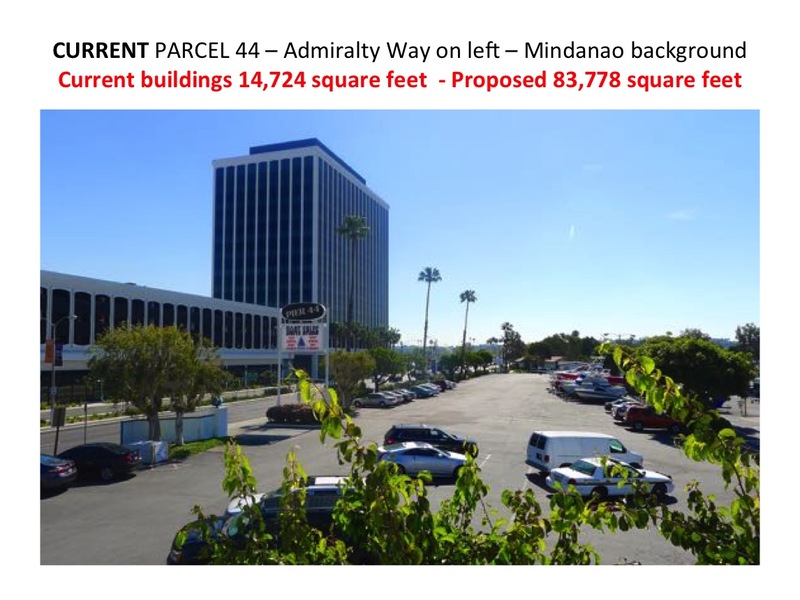 Pier 44 is part of the Marina Del Rey Over-Development. 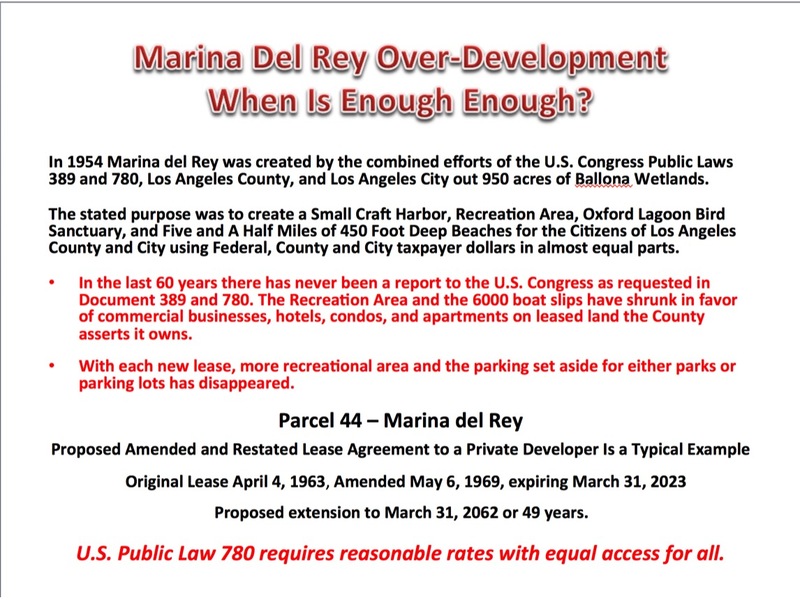 In the last 60 years, public recreation and the initial 6000 boat slips have shrunk in favor of commercial businesses, hotels, condos, and apartments on leased land Los Angeles County asserts it owns. With each new lease, more recreational area and parking set aside for either parks or parking lots have disappeared. 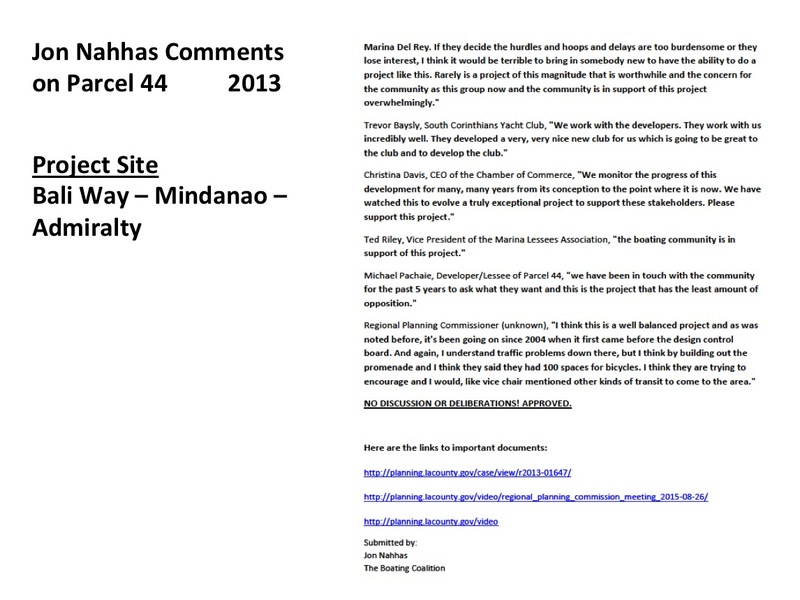 Read more about CREATE A PARK & HABITAT AREA - Parcel 44 Admiralty Way. OPPOSE Over-Development. 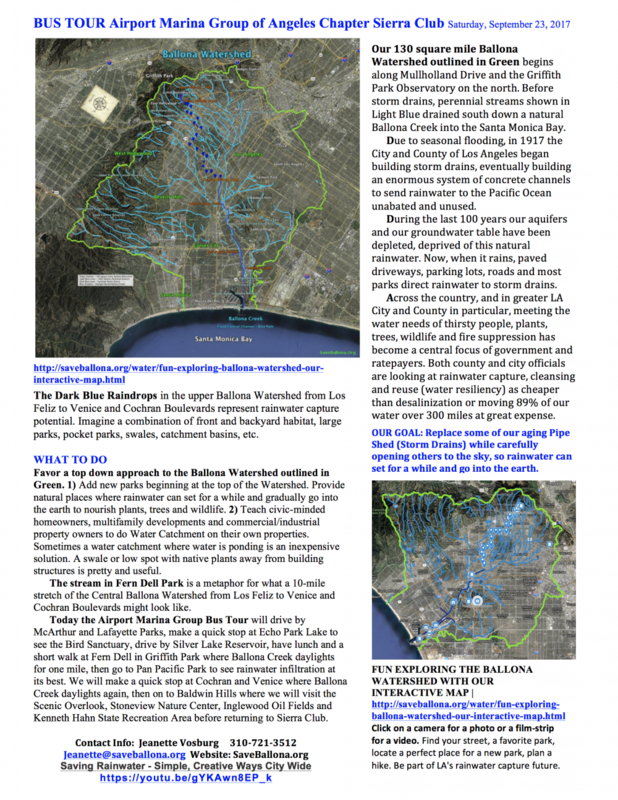 Ballona Wetlands Restoration and Marina del Rey - see page 47 of Doc. 389 for a Map. MDR was created with the combined efforts of U.S. Congress, Los Angeles County & Los Angeles City. As is seen below in the photos from 1952 and 1997 Ballona ponds during the rainy season when allowed to do so, even with the presence of the Army Corp/ LA County built - Ballona Channel. 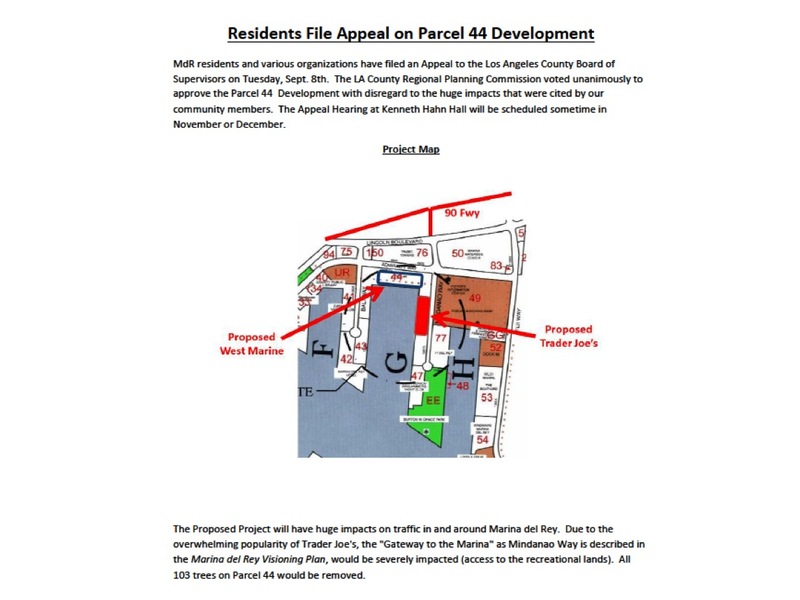 Playa Vista developers have always argued that their mega-development was not on a wetland, which is countered by their own internal e-mails to Los Angeles Building & Safety Department - 6/8/99 Playa Vista email to LADBS. 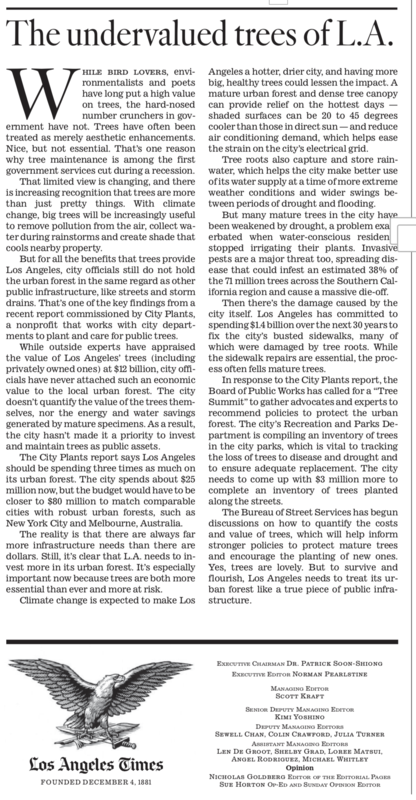 "A mature urban forest and dense canopy can provide relief on the hottest days -- shaded surfaces can be 20 to 45 degrees cooler than those in direct sun -- and reduce air conditioning demand, which helps ease the strain on the city's electrical grid." "The roots also capture and store rainwater, which helps the city make better use of its water supply at a time of more extreme weather conditions and wider swings between periods of drought and flooding."